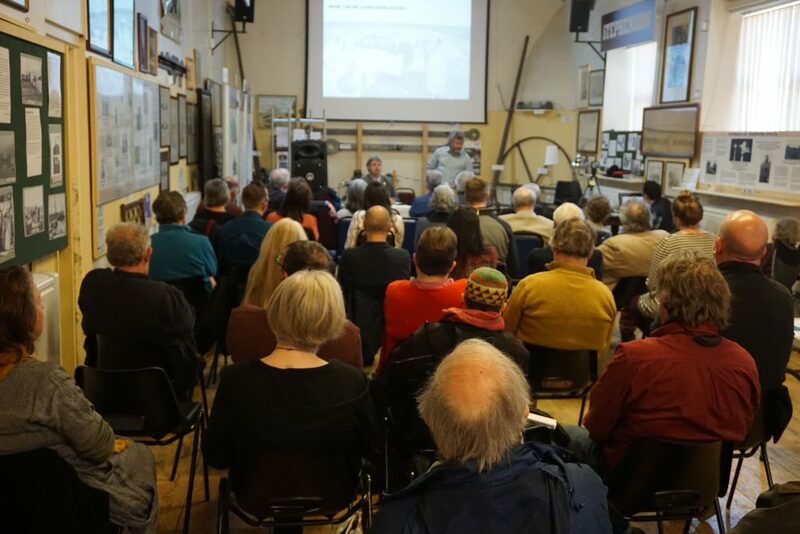 Menai Bridge was the venue for a Joint Seminar for a Green Nuclear Free Wales on Saturday 13th April to discuss Charting a Sustainable, Radioactive Waste Free Future. This seminar was a public meeting open to all interested in the impact of new nuclear and waste on Wales, and what alternative energy solutions exist. This meeting was co-organised by the Nuclear Free Local Authorities Welsh Anti-Nuclear Alliance (WANA), People Against Wylfa B (PAWB), the local Trawsfynydd concerned group CADNO and CND Cymru with support from Friends of the Earth Cymru and Greenpeace Cymru. Venue:The Telford Centre is a historic former schoolhouse built in 1854. It is just 300 metres from the Anglesey end of the Menai Bridge. Its main hall holds around 80 people. Menai Bridge is the town just across the suspension bridge that connects Anglesey to Gwynedd. The nearest train station is at Bangor on the North Wales coast line. The buses X4, 4A, 42, 43 and 53 from Bangor Bus Station into Anglesey all stop at Menai Bridge Bus Station. 11.35am Small Modular Nuclear Reactors – are they an energy solution in North Wales? 12.00pm Where should the radioactive waste go?